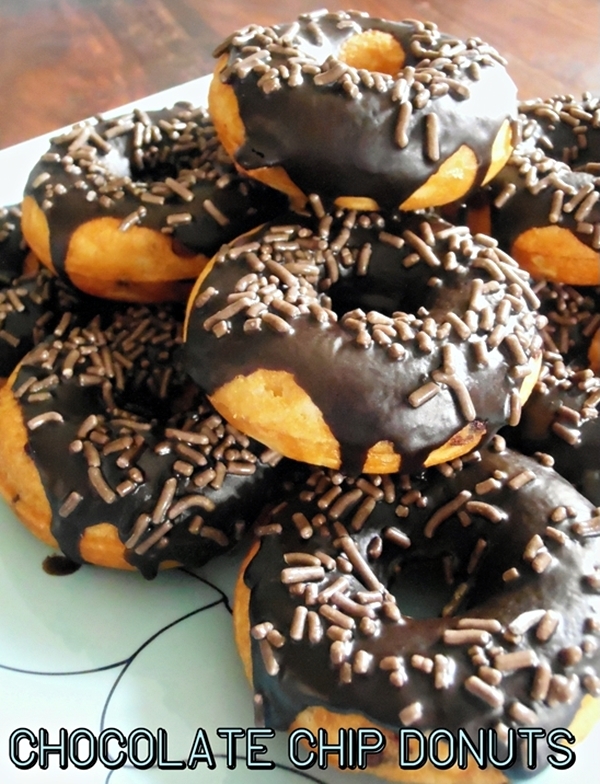 Tasty Chocolate Glazed Chocolate Chip Donuts made easily in an electric donut maker. Top with you favorite sprinkles. Click here for the recipe.